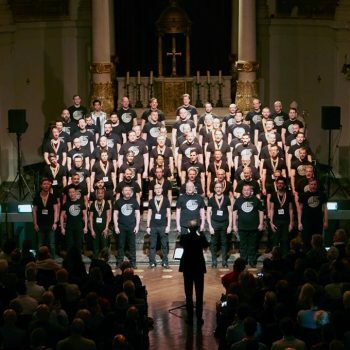 To celebrate the 25th anniversary of the London Gay Men’s Chorus, we have produced an album of fabulous music. 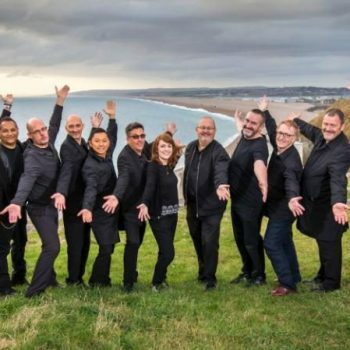 Featuring our recent collaborations with the London Gay Big Band and the Orion Symphony Orchestra, the songs were recorded at Henry Wood Hall and live at Cadogan Hall in London During our Silver Jubilee year. Our aim is to entertain, educate and inspire through song. We hope you enjoy XXV. XXV is available to purchase as a physical CD from our store. Alternatively, you can also purchase the album from iTunes, Google Play, Amazon, and Bandcamp. XXV was only made possible thanks to the kind support of our Crowdfunder supporters below. A massive thank you from all of us at the LGMC for your support. It truly means the world to us. Adam Werlinger, Adrian Ryder, Alan Cottington, Alan Martin, Alan Patient, Alberto Gonzalez, Aled Nurton, Alessio Mocci, Alex Dunn, Alison Symons, Alun Jones, Amparo Ortin, Andrew Higginbotham , Andrew Kingston, Andrew Wilcock, Andy Levey, Ant Jones, Anthony Hull, Augustin Basaen, Ben Davis, Ben Fritchley, Ben Miller-Poole Benham Frank Patrick, Billie Bluebell, Billy Nichols, Carl Chandler, Chris Stamper, Chris Priestley, Christopher Calvert, Colin Benn, Corrina Raynard, Daniel Ambrose, Daniel Clegg, David Clarke, David Davies, David Kent, David Sutton, David Wood, Derek Andrews, Dorothy “T-One” Harrison, Edo Avraham, Edward, Eilon Reuveni, Eoin Canty, Estanis Bouza, Federico Andornino, Francisco J Becerra, Geir Kjelland, Graeme Padden, Graham Stoner, Gregory Allen, Hanneke Brom, Harrie Brom, Harry Earle-Mundil, Helen Robinson Povey, Henrique Mendes, Izuan Halik, James Jeffery, James Raynard, Jarkko Tormanen, Jennifer Mcintyre, Jim Davidson, Jim Robertson, Jimi Payne, John Johnson, John D Carrion, John-Paul Buck, Jonathan Lubert, José Alberto Fernandez, Kee Lim, Kitson Houston, Lee Pike, Leonard Wong, Les Jones, Lesley and Mike Levey, Lisa Turner, Luis Bouza, Luke Abnett, Mark Armstrong, Mark Kember, Markus Wehrhahn, Martin Kelsey, Martin Brophy MBE, Martin Chalons-Browne, Martin Donkin, Martin Gossauer, Martin Kaufman, Martin Oliver, Michael Geeleher, Michael Hampton, Michael Kasten, Michael Kevin Burke, Michael Sparham, Nathanai Suphabanpot, Neil Hoey, Nicholas Michaelides, Nigel Farmer, Nigel Newton Sawyerr, Øivind Berg Larsen, Patrick Shorrock, Paul Barton, Paul Chittleborough, Paul Griffith, Paul Kingston, Paul Snoding, Pedro Delgado, Peter Viti, Rachel Buchanan, Rachel Reid, Ralf Rasmussen, Ray Shaughnessy, Ricardo Magalhaes, Richard Cawthra, Richard Shead, Robert Offord, Russell Coe, Russell Munns, Saar Maoz, Sally and JP, Sarah O’Donnell, Scott T-One, Sean Harrington, Sean White, Sharyn, Simon Rooks, Sophie Abbott, Stephen Fusi, Steven Whyte, Steven McGunigel, Steven McIntyre, Steven Milloy, Steven Smith, Suzanne, Tim, Trevor & Petr, Trevor Clarke.